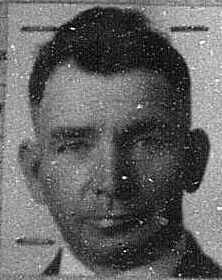 2CPL A. HURRELL, original member of the 180th Sportsman Battalion. The first addition to my collection for 2018, arrived in the post on Friday. It is now part of my core collection to men of the 180th and 208th Battalion. Alfred Hurrrell was born on August 31 1886 in Chelsea London England, to Alfred Hurrell and Jane Alexander. He immigrated to Canada aboard the S.S. Tunisian of the Allan Line Steamship Company. The ship departed Liverpool England, on May 17th 1912 and arrived in the port of Quebec Canada on May 27th 1912. Having been in Canada for 1 year, Alfred married Susannah Hazard on May 28 1913, in Toronto Ontario. They had 3 daughters, the two youngest were twins. Alfred enlisted in the 180th Sportsman Battalion, CEF on January 24, 1916. Effective May 12 1916, he was transferred to the 4th Army Troop Company Canadian Engineers, as he stated he has 3 years prior service with the Royal Engineers. His trade at time of enlistment was given as Bricklayer. He is described as 5 foot 8 inches in height and weighing 146 lbs with good physical development. He is further described as having a fresh complexion with Blue eyes and Brown hair. Noted Scar on left Jaw as result of broken Jaw as youth. Alfred Embarked Halifax aboard the S.S. Olympic 24 July 1916 with 17th Draft Canadian Engineers. The ship arrived in Liverpool 31 July 1916. Alfred was then Taken on Strength to the 4th A.T.C.C.E. having landed in Harve France on 27 Jan 1917. At the same time, he was confirmed in rank of CPL. On 20 May 1918, Alfred reverts to Sapper at own request. His records indicate he was taken on Command 1CCS from 15-Feb 1918 to 24-Mar 1918. 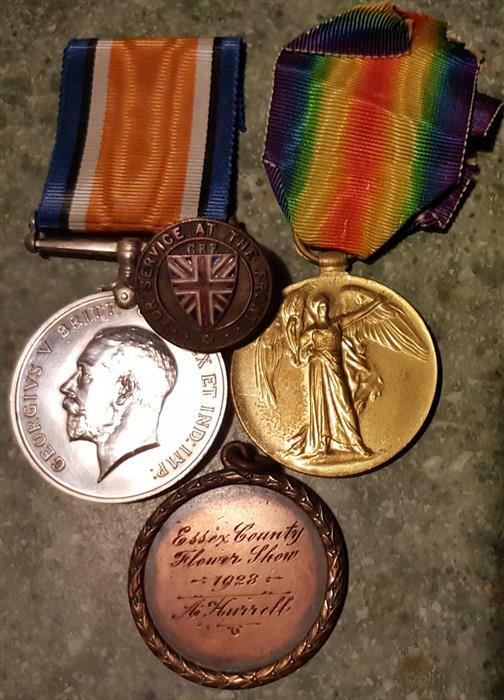 He records further state he was attached to 1st Bde RGA from 22-Jun1918 to 14-Jul 1918. Alfred was Confirmed as 2nd Cpl in the field effective 01 Sept 1918. Alfred proceeded to England after the cease of hostilities 04-March 1919. Alfred was discharged from CEF in London Ontario 1 May 1919 by reason of Demobilization. For his service in the CEF, Alfred was awarded the War service badge 309093, along with the British War Medal and Victory Medal. Unfortunately, the Service Badge that came with this grouping is apparently not his as the number is 229802. His medals were dispatched to him at his residence in Toronto on May 13, 1922. 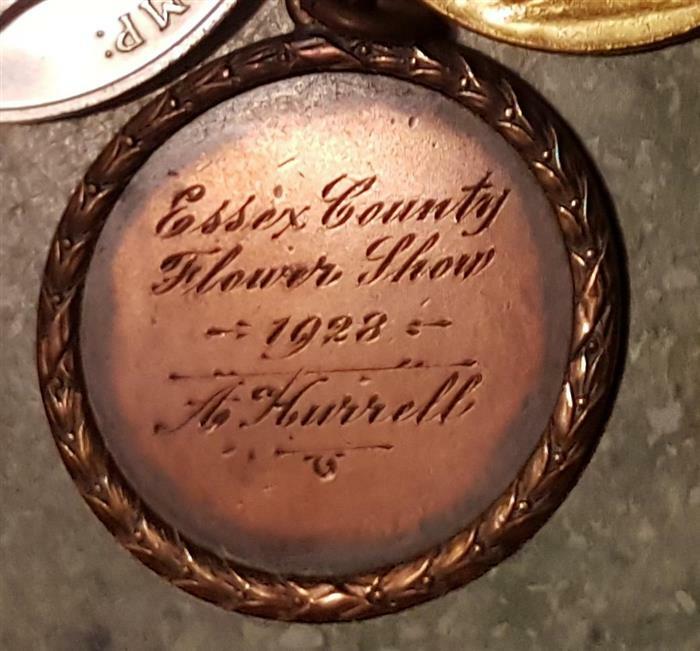 Alfred appears to have been somewhat of a horticulturist, as he was awarded a personalized medallion from the Essex County Flower Show in 1928. I was fortunate enough to locate a photo of Alfred Hurrell, attached to a border crossing document to the U.S. dated June 25, 1927. At the current time, I have no date or final resting place for Alfred.